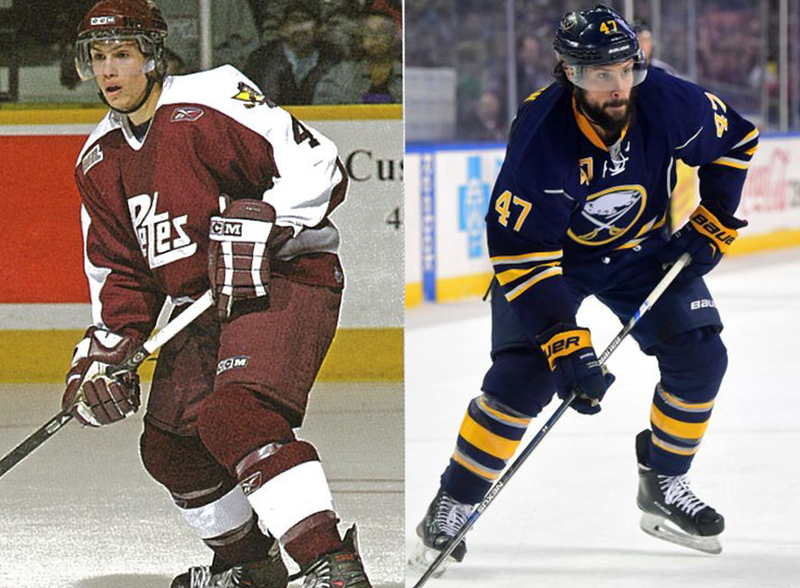 One of the Petes’ most recent on-ice success stories is defenceman and assistant captain of the Buffalo Sabres Zach Bogosian. Although the 28 year old’s career has largely been defined by his on-ice skills, the powerful rear guard is foremost a philanthropist whose quest to help others makes him a standout among his NHL colleagues. Zach’s atypical journey to the Petes began at Cushing Academy, a college prepatory school in Ashburnham, Massachusetts. It was here he was coached by Ray Bourque and played alongside the Hall of Famer’s son, Ryan (currently with the Bridgeport Sound Tigers). Contrary to following the NCAA formula, Bogosian conveyed interest in pursuing the OHL in his adolescence. He recalled attending an Ottawa 67’s game as a child and being fixated on the increased intensity of an OHL game and hysteria throughout the 10,000 seat Civic Centre (now TD Place Arena), a slice of elite hockey he desired. 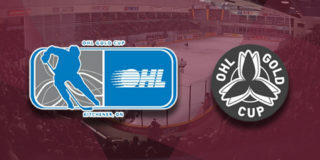 In drafting Zach to the Petes, previous general manager Jeff Twohey’s journey begins with a former Oshawa General – Bobby Orr. “Bobby Orr, who was his agent at the time, had a lot of our players – Eric and Jordan Staal, Steve Downie – and so Bobby used to come to a lot of games. I used to sit in a suite, and one day [while Bobby was at a game] out of the blue he said to me, ‘Listen I got a young guy playing in Boston that I would like you to come look at’,” explained Twohey. Following a dinner with Zach’s parents, Vicky and Ike, Jeff sensed only half the duo was sold on the dream of being a Pete. In understanding the parental instinct, Jeff agreed to include the condition that Bogosian could only be traded with his permission. “The two years he was with us, he was dynamic. He was a hard, competitive guy with skill,” described Jeff. 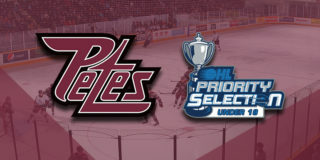 Bogosian arrived to the Petes following one of the organization’s best statistical seasons. 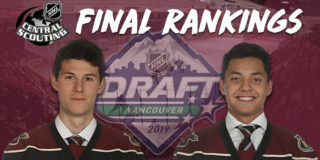 Although the following two years saw less impressive records, Zach had a stand out performance, earning spots on the All-Rookie Team in 2007, First All-Star Team in 2008, a place in the OHL All-Star Classic, as well as at the CHL Top Prospects Game. 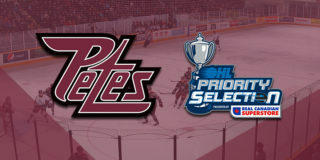 He would be named as one of the top two defencemen in the league and go on to be selected third overall by the Atlanta Thrashers in the 2008 NHL Entry Draft following his two years with the Petes. 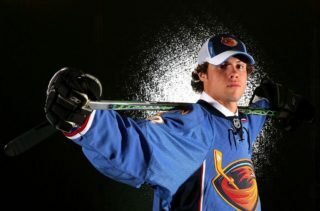 Zach spent three years in Georgia before moving with the Thrashers to Winnipeg then being traded to Buffalo – two markets reflective of Peterborough’s hockey-savvy demographic. He’s a fan favourite among the Buffalo population and is now a staple among the franchise. Although Bogosian has been a part of improving the navy, white and gold record, it hasn’t been without bumps along the way. He missed half of the 2017-18 season following a hip surgery and is currently dealing with an undisclosed injury. Sure he’s an outstanding player whose tenacity is incomparable, but what might be most noteworthy is Zach’s dedication to helping others. 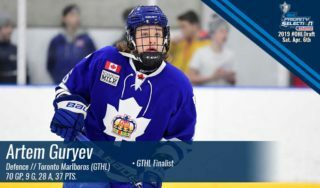 The d-man was nominated in 2018 for the King Clancy Memorial Trophy, an award given annually to the NHL player who ‘best exemplifies leadership on and off the ice and has made a noteworthy humanitarian contribution in his community’. In the same year, Zach was chosen as the Sabres Foundation Man of the Year. In 2015 he and his wife, Bianca D’Agostino, launched the BOGO Bunch Foundation with the mission to ‘create a family atmosphere in the lives of those directly and indirectly affected by cancer – if not to find a cure, then to give people the best possible quality of life’. The BOGO Bunch Foundation has raised more than $100,000 for the Roswell Park Comprehensive Cancer Center. The nonprofit charity also raised significant funds for those affected by Hurricane Harvey, and Zach also sits on the celebrity board of advisors of the Make Lemon Aide Foundation for Cerebral Palsy. Last season he, alongside former teammate Ryan O’Reilly, donated a suite at each Sabres home game to a charitable cause board member. Happy Birthday to the nicest person I know. You’ve shown me so much about life. I love you Mom I hope you have a great day. Most recently Bogosian has joined the NHL in their ‘Hockey is for Everyone’ campaign as the Buffalo Ambassador. His role is ‘to promote the League’s broad diversity and inclusion initiatives’. When asked why he desired to be involved, Bogosian explained, “People, regardless of gender, sexuality, race, whatever, should be able to seek out what they want to do,” a mentality that is sure to grow the game of hockey and make the current state of hockey more welcoming. Treating everyone with an abundance of kindness is merely an extension of his family-first mentality. Zach takes incredible pride in being a father to his children Mila and Hunter and husband to Bianca, a former soccer player with the Boston Breakers, as evident across his social media platforms. Bogosian has faced a string of unlucky injuries thus far in his career, but that hasn’t jaded his perception of the game of hockey or extended family that comes along with it. His generousity reaching far beyond the status quo and selflessness in his community will be one of the greatest parts of Bogosian’s legacy in professional hockey.